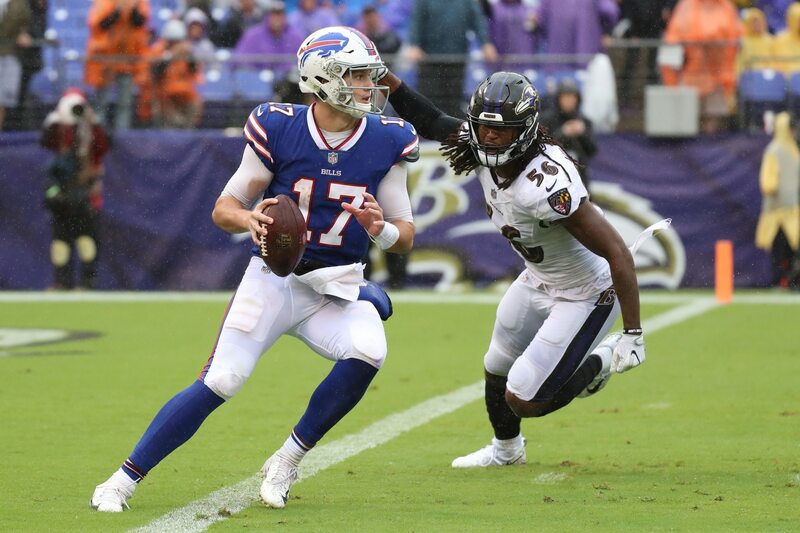 After receiving a second opinion from famed surgeon Dr. James Andrews, Buffalo Bills quarterback Josh Allen has received some good news. Tom Pelissero of NFL Network reports Allen won’t need surgery, and that he doesn’t have a full tear. He’s expected to miss at least two or three games and then will be week-to-week after that. The damage is to Allen’s ulnar collateral ligament. It’s not a full tear and there’s no sense he needs Tommy John surgery, as @mikegarafolo said this morning. #Bills coach Sean McDermott has said Allen is week-to-week. This is great news in the long term for Allen and the Bills. Though his rookie season has certainly been filled with rookie mistakes, he’s shown an ability to move the offense and is clearly the guy Buffalo views as a franchise quarterback. In the short term, it means the Bills will be stuck with either Nathan Peterman, who’s been a turnover machine since last year, or veteran Derek Anderson, who was signed last week to be a mentor to Allen.